Richard J. "RJ" Tetzlaff, age 82 of Scandia MN, passed from our home to God’s home peacefully surrounded by loving family on Sunday November 18th, 2018. He fought a courageous battle against AML Leukemia for thirteen months. "RJ" was a retired home builder and General Contractor for over 50 years in Twin Cities Metro and Western Wisconsin. 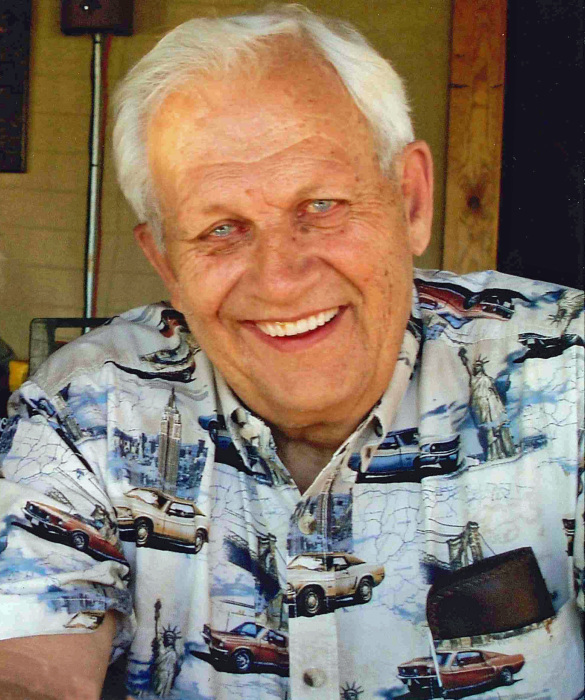 He spent many winters in Mesa, Arizona and will be missed by fellow Snow Birds and Classic Automobile Car Club Members. He was a member of the Scandia-Marine Lions and a Boy Scout Leader. A dedicated and loyal Osceola Braves Fan as he felt a connection to the players, volunteers and fans. His contagious smile will be missed by many at and around Oakey Park. He is preceded in death by parents, Alfred and Eleanor Tetzlaff, special Brother-in-Law, Roger Gunderson. Survived by loving wife of sixty years, Carol, sons: Mike of Osceola WI, Craig of Cottage Grove, MN, Paul of Scandia, MN, adored granddaughter, Nicole Tetzlaff of Somerset, WI and sister, Sandra Wolfgram of Woodbury, MN., 2 nephews, 1 niece and many Ebel, Murphy and Tetzlaff family members. Mass of Christian Burial is at 11:00 am on Tuesday, November 27 at the Church of St. Joseph, 490 Bench Street, Taylors Falls, MN. Family will greet friends from 4-8 pm on Monday, November 26, 2018 at Mattson Funeral Home, 343 N. Shore Drive, Forest Lake, MN. and one hour prior to mass at the church on Tuesday. Interment in St. Francis Xavier Cemetery in Shafer. The family would like to thank all the Wonderful Health Care Providers and Professionals for the kindness and sincere care especially those at Minnesota Oncology, St. Johns East Infusion Center and Lakes Hospice.